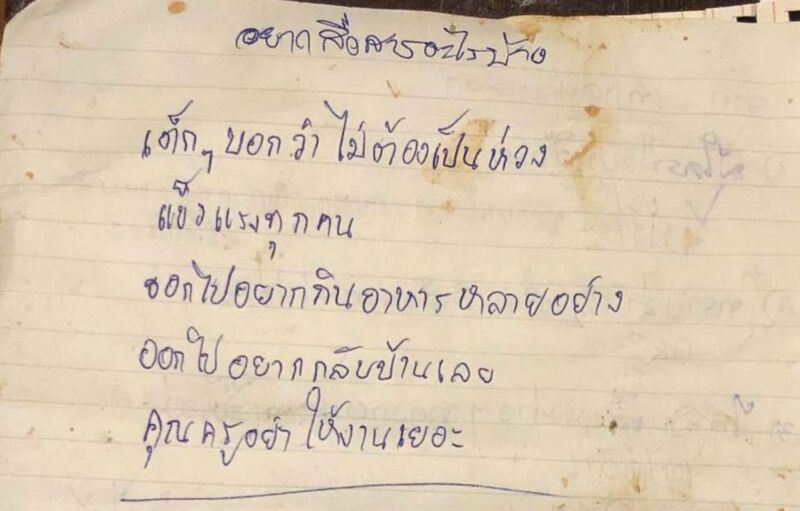 Before a complicated rescue freed 12 boys and their coach, who were trapped inside a Thailand cave, the boys had written letters to their families requesting rich, home-cooked meals when they got out. The first letter from the boys stuck in a cave in Thailand was a message with no name. So far, doctors have only allowed them to have bland, low-calorie foods in order to help prevent a condition known as re-feeding syndrome. Re-feeding syndrome is a potentially deadly condition that can occur when a person in a state of starvation is allowed to eat too many calories, too quickly. Dr. Jennifer Chuang, an adolescent medicine specialist who treats patients with severe malnutrition requiring hospitalization, told ABC News that when you're starving the body's metabolism changes. “When you’ve been starving for that long your whole body’s metabolism will change from using carbohydrates to using fats, proteins, and glycogen storages as sources of energy,” Chuang said. The total amount of important electrolytes in the body, such as potassium, magnesium, and phosphorus, is also known to run low during prolonged starvation. These elements are essential to the body’s successful functioning. 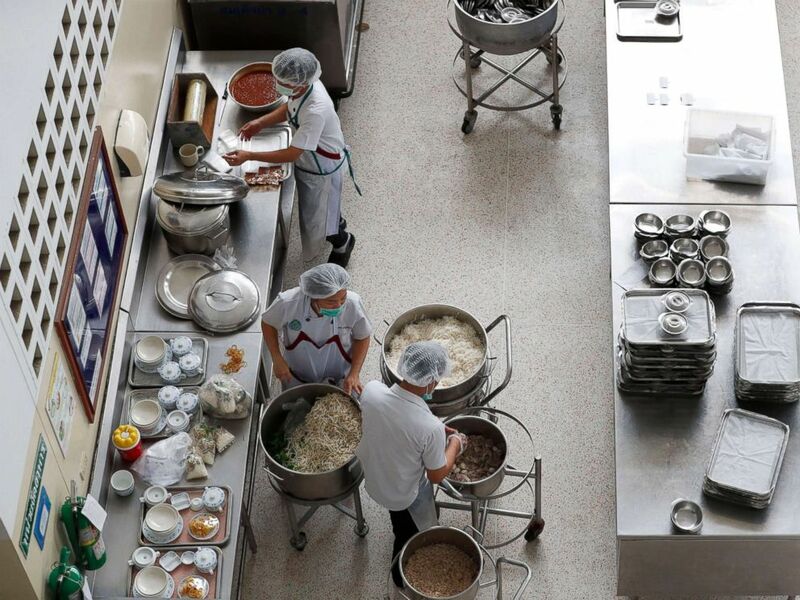 Thai nutritionists prepare foods at Chiangrai Prachanukroh Hospital, where eight boys of a soccer team are staying after they were rescued from Tham Luang cave in Chiang Rai province, Thailand, July 10, 2018. As nutrients are added back into a starving person’s diet, electrolyte and fluid levels can shift in the body. According to Dr. Chuang, the changes can manifest as small accumulations of fluid around the eyes, in the legs, and other parts of the body or -- what’s more worrisome -- the accumulation of fluid around the heart that could lead to heart failure. If the Thai boys were allowed to have their requested pad kaprao, or fried pork with basil, their blood levels of potassium, phosphorus and magnesium could drop so low they could face deadly cardiac arrhythmias –- in other words, their hearts could stop. Instead, their team of physicians will likely take the approach health care providers working for the United Nations Children's Fund (UNICEF), World Health Organization (WHO) abroad and even Chuang takes with her patients in Philadelphia: “Start low and go slow.” This method will allow the doctors to gradually allow the boys to eat more calories each day while closely monitoring their blood tests and overall clinical condition.